Okay, we start the adventure by registration at the main office at 9. We must took queue because there are many others who want to take the same adventure in this mountain. For your information, we must spent about an hour for the registration so we can start at 10. 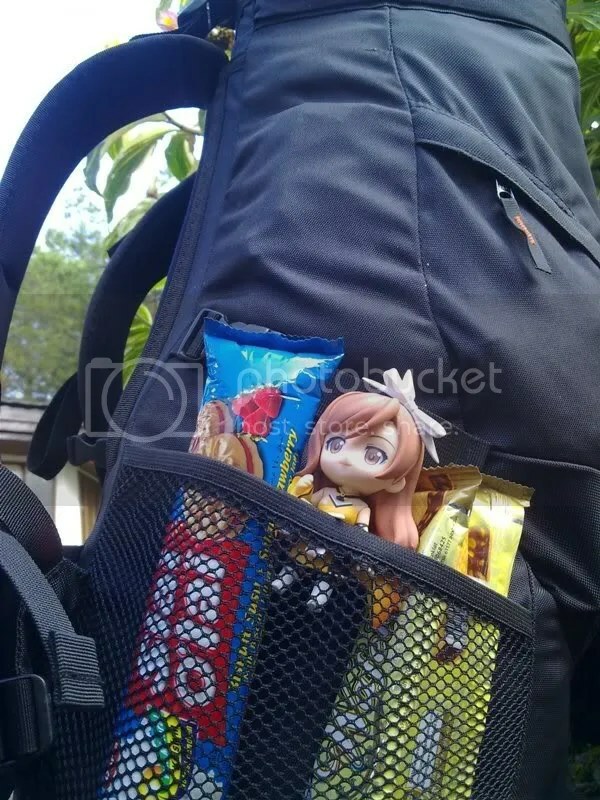 I put her on my side pack of the bag and she have some snacks to eat during the trip. Of course i secure her in my hard-case first when i start the trip. 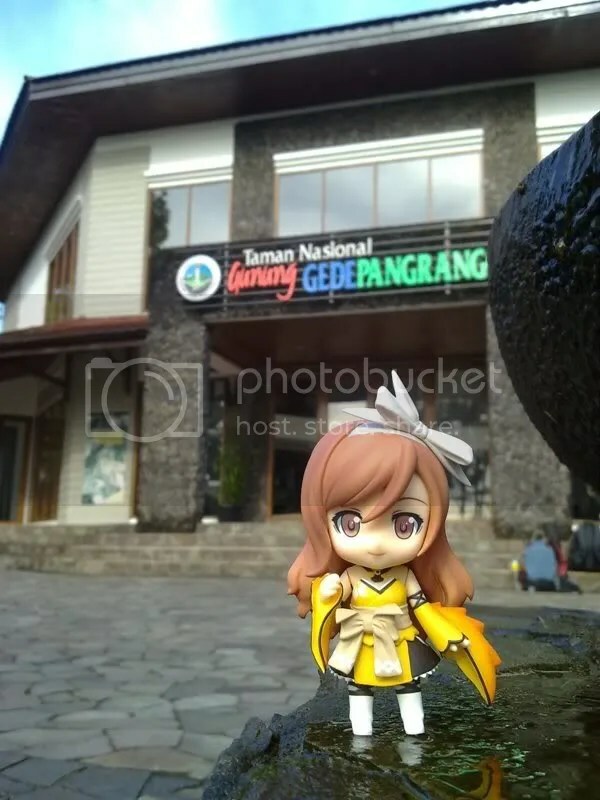 It was my first time to bring nendoroid for an outdoor photograph. 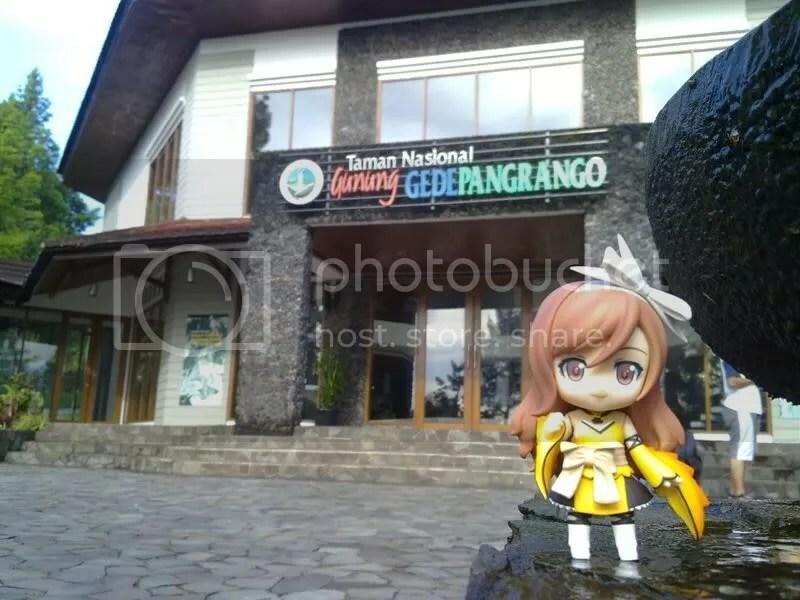 Initially it was rather difficult for me to take some photos because i need to pack-and-repack my nendo and also i only have a very short time for rest in my itinerary. We take some rest for enjoying the view and breathe. 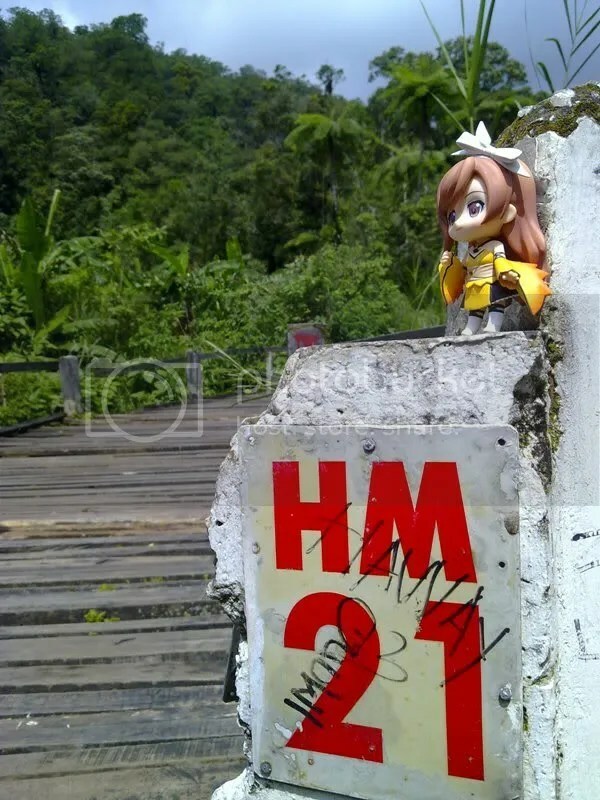 Last trip i’ve take is about 2 years ago in Mount Merbabu so at the first we feel a little exhaust to heating our engine. 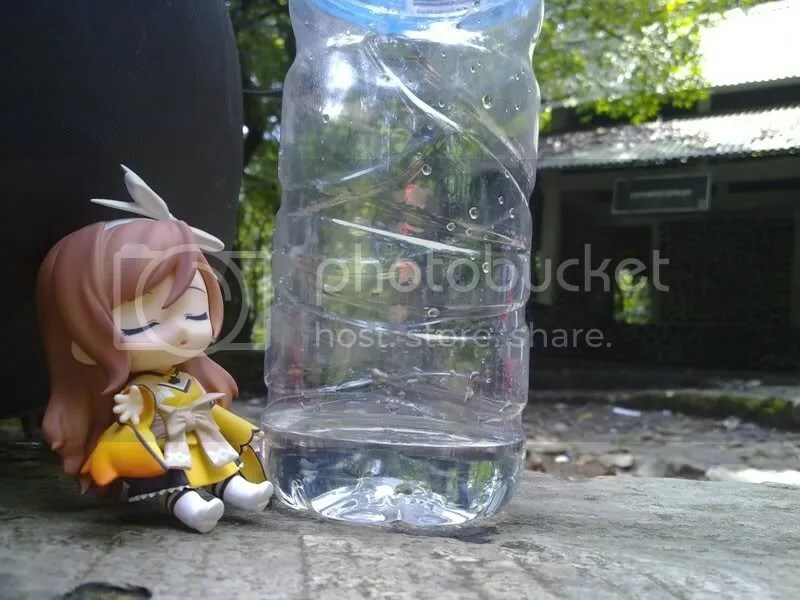 She looks very thirsty on her first trip, don’t worry i’ll take care of you Kureha. This is first post called “Panyancangan Kuda”. It called “Panyancangan Kuda” because in years ago this place used to be a stable for horses of royal person who want to meditate at the top of the mountain. After take some break we continue our trip. 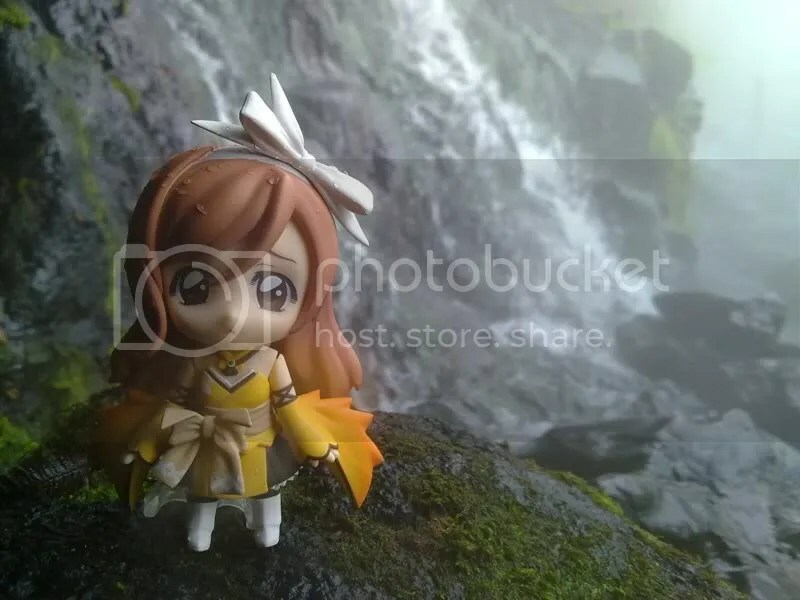 Kureha looks worried when we have to cross a hot waterfall at the second post. The hot waterfall is very dangerous to cross if you don’t walk carefully because down there is a very deep cliff. 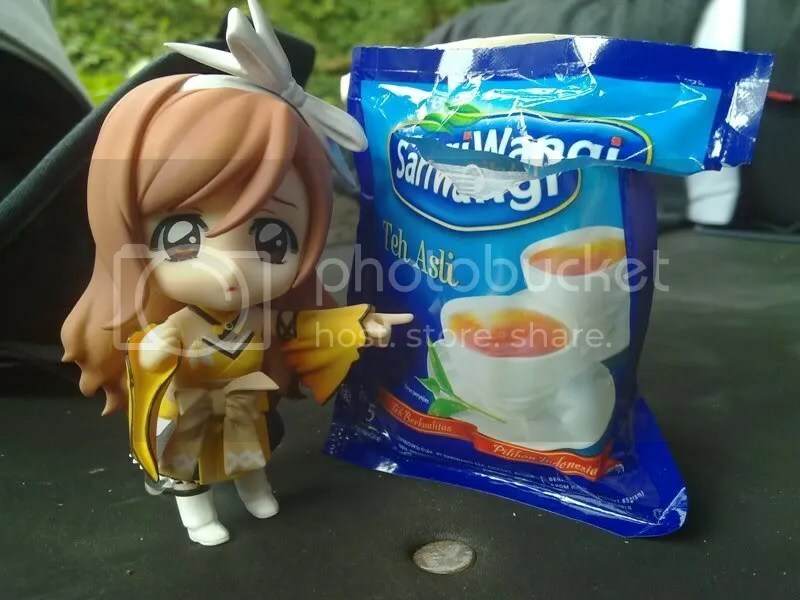 Can we take some tea before continue? We take some break time again for recharging our energy at 3. The post called “Kandang Badak”, kind of funny isn’t it? In this place usually used by some climber to make a camp before head to the top. Next track to the top is the hardest so i don’t take any photos. We reach the top at 7 and immediately build a tent for rest and cooks. In the morning we can enjoy the views of the top with a large edelweiss fields. Lucky me, the immortal flower is blossom. Kureha looks very pretty with flowers. I’m very sorry Kureha, but we can’t pick the flower for ourself. 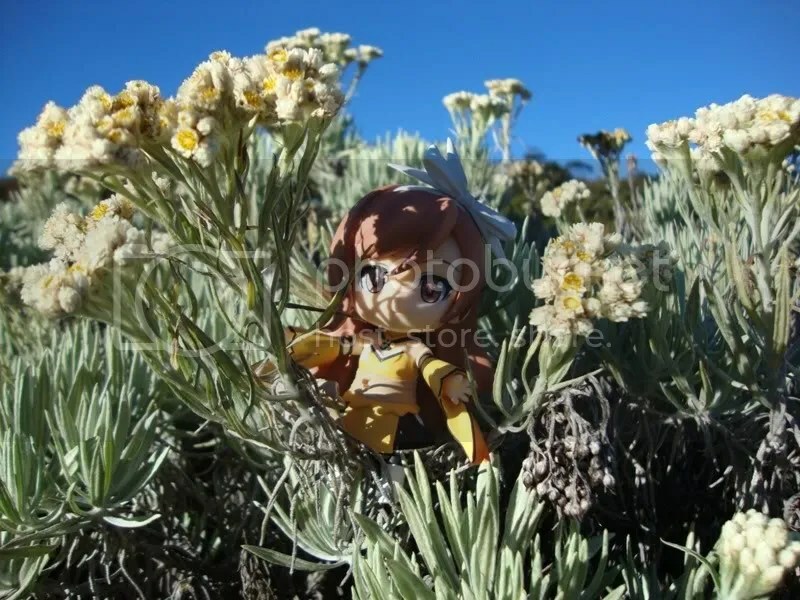 We need those flowers for blossom again so we won’t loss its beauty. That was all of my adventure with Kureha, hope you like it. Sorry if i forgot to stick her ribbon and see you in our next adventure. 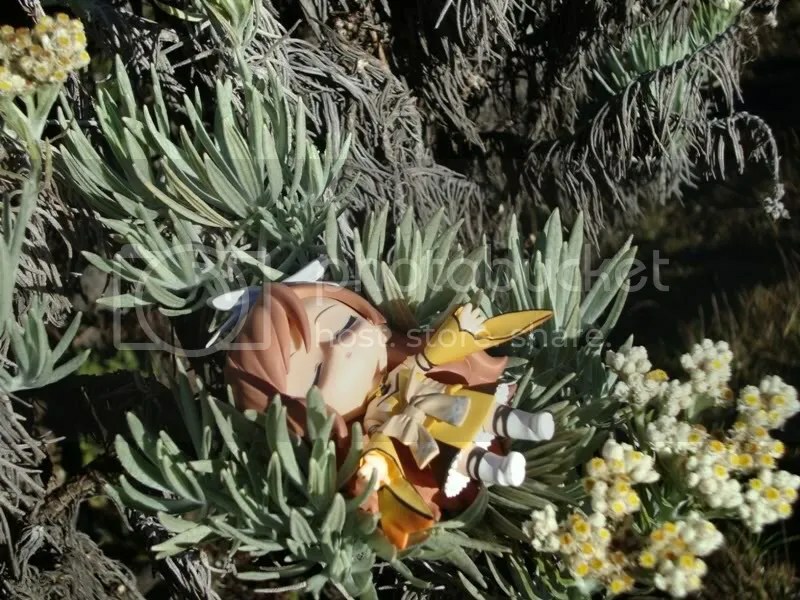 The shot with those flower is just beautiful! 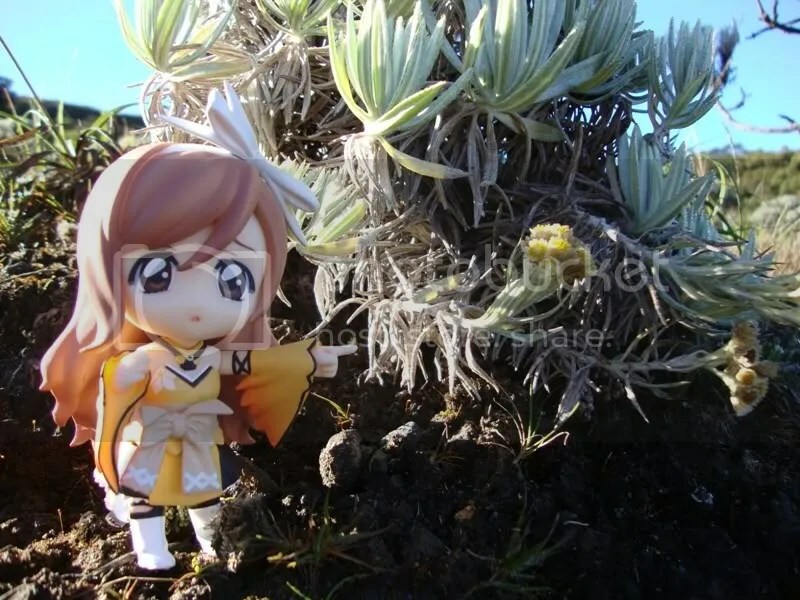 Do they provide you with any guide to climb this mountain?